Musings of a Sega Racing Fan: Silly Rabbit, Sega Is A Japanese Company! You know what, I'm suffering from severe writer's block right now but this I must say. I think that many of us (myself included) occasionally forget that Sega is a Japanese company and thus Sega will cater to Japan first and foremost. Let's face it--Sega has no respect in the West anymore outside of a few nostalgia diehards like you and I. With the exception of Sonic, none of their games really get any leverage outside of Japan. You heard that Binary Domain You Guys, a game that has aspects specifically meant to appeal to the West, only sold 20K copies in North America in the first month? Compared to Mass Effect 3's 1.3 mil copies in the same region/time frame? Blame Sega of America marketing or the poor gamer response, that's absolute crap. That's just one reason why Sega never develops games for the West anymore. Sega of America plays Publisher which seems to be perfectly okay as they make a buck publishing titles like Aliens or Total War--games that are "okay" by default gaming standards but don't really fit the zany Sega mold that you and I grew up with. Well, with the decline of the Dreamcast and US arcades, no kidding that Sega of America/Europe took a massive tumble. Then there's Sega of Japan. Take the time to read SegaShiro every once in a while. Oh man, do you know what things Sega Corporation are up to in Japan? Oh man, Sega's games are so much more successful over there. 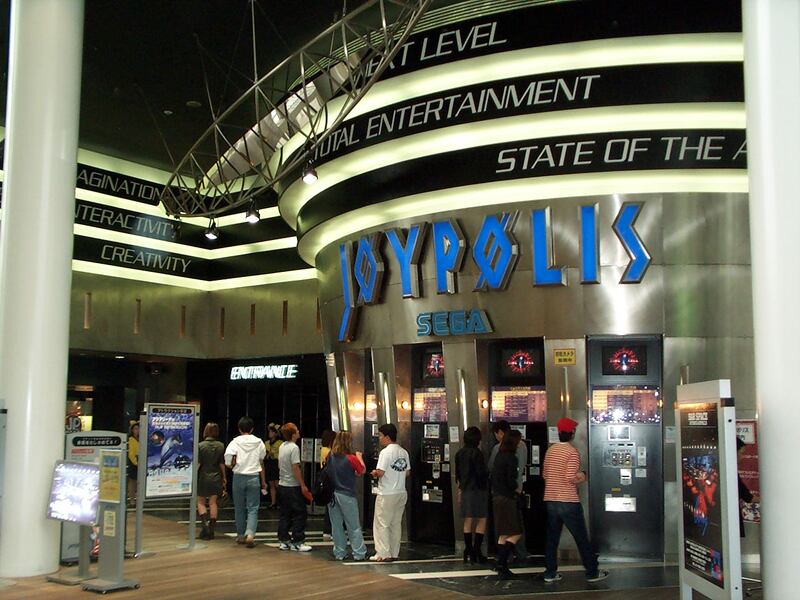 Sonic, Binary Domain, Yakuza, Virtua Fighter, ARCADES ARE STILL KICKING! Sega also makes toys, amusement parks, pachinko machines (by Satomi-San's orders), urinal games, SUPERMODELS AND HOSTESSES!!! And obviously, on the heels of Sega's absolute failures in the West, they pull back. No surprise, huh. No Dreamcast, arcades are a foregone conclusion, we're obsessed with Halo and Mass Effect, so why should Sega go all-out trying to appeal to us Westeners? Sometimes, people get mad and decry Sega when they spend all this effort on a Rhythm Thief or Hatsune Miku game. "What is Sega thinking???" we say. "私はとても幸せ!! このゲームは素晴らしいです!! ", they say. So unfortunately, English-speaking brethren, we're not Sega's main target anymore. Time we get used to it. So I don't think Sega is going to "die" any time soon but they have lost a ton of ground in the West--consoles and arcades (such as Gameworks) included. They're this Japanese behemoth (like Godzilla) that encompasses way more than making a few lousy racing games which is a bit overwhelming from a itty bitty little game programmer like myself. I just wish Sega was still around here in the US cause frankly, I'm getting tired of these downward trends in US games...this move towards gritty M-rated titles, drinking the Red Bulls while screaming at little kids on Xbox Live, watching big companies like EA, Microsoft, and Activision pick-pocket us with cheap DLC and other garbage, what a joke. Even Japanese companies like Sony and Capcom are joining in on this as well. Compared to here, it's the Super Terrific Happy Hour all the time over there at Sega!!! Maybe not but come on man, you can't get any lower than publisher-happy Sega of America with Mike "18-24 Dreamcast ports" Hayes. I should mention although I'm a patriotic American, I'm going to check out Japan someday--they have a different "attitude" towards game design, it seems. In the West, when you make a game, the immediate thought process is "How much money can I make out of this?" In the East...their games are much more unorthodox, more "fun," the grass looks greener so I gotta see what's going on over there (EDIT: Only exceptions are now Scumbag Sony and Crapcom). Dammit, if only ONE Western racing dev could go over there, get a test sample of what's going on, and bring it back. Why do we have to settle either for racing sims (Forza, iRacing) or total crap (Burnout, Split/Second)??? TLDR: When I talk of "saving Sega," I suppose it's more oriented towards the West (obviously). But we have to go East to help the West. 私は日本語を学ぶ必要がある!!! 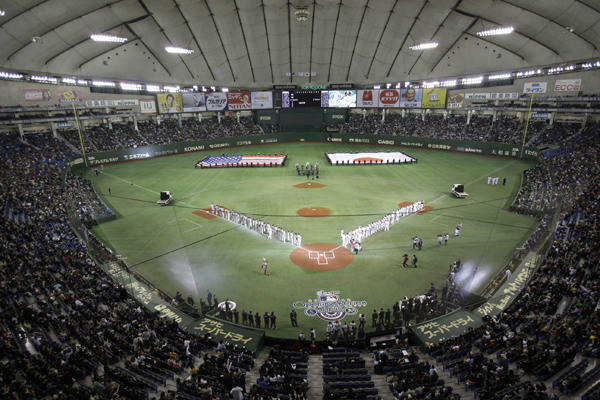 FYI, America brings baseball to Japan and Sega gives America the best NASCAR game ever. Fair deal.